Regent Street has officially turned on their Christmas lights bringing an air of festivity to these cold, winter days. ‘Tis the season of eating too much, spending too much and enjoying our time with friends and family. Our Food+Drink team were delighted to work on a global launch of the latest whisky blend from the prestigious Royal Salute Polo Collection range – the Royal Salute 21 year old Beach Polo Edition. 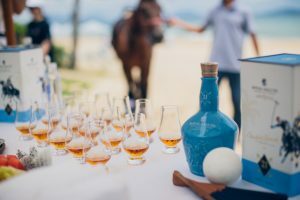 The luxurious blend crafted to evoke the environment of beach polo was thanks to the combined mastery of Master Blender Sandy Hyslop and Polo Ambassador Malcolm Borwick. 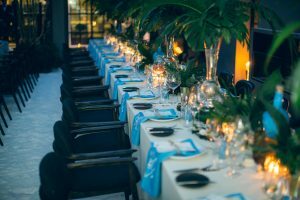 H+K developed a two phased launch campaign, covering soft and hard launch events in key markets -UK and China– to tease and officially release the new blend respectively. The pinnacle of activity was the global launch event, officially unveiling the highly anticipated, limited edition blend. H+K’s event concept of ‘Black Tie and Barefoot’ recreated a luxurious indoor beach within the heart of Beijing, inviting an exclusive guest list of global media and consumers to remove their shoes and feel the full inspiration of beach polo distilled within each porcelain flagon of exquisite Beach Polo Edition. A long-term PR client turned to our Financial & Professional Services team after the Treasury Select Committee made the blunt recommendation to abolish the Lifetime ISA, an innovative new financial savings product which is helping hundreds of thousands of young savers become first time buyers. We rapidly organised our public affairs programme – building a campaign to engage with key decision makers and deploying policy interventions with integrated PR activity. We can proudly say this has already had a material impact and the Government has rejected the Committee’s recommendation, committed to multiple meetings with our client, and the activity has generated waves of media hits. 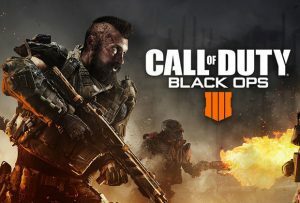 In October, Activision delivered what was perhaps the biggest and most challenging brief yet – launching the latest version of Activision’s flagship game: Call of Duty: Black Ops IIII. What our Sports team created was something that had never been done before. They built a gaming experience within a room coated in the world’s darkest man-made substance – Vantablack. Vantablack absorbs virtually all incident light, in fact it reflects so little light that it is often described as the closest thing to a black hole we’ll ever see. The resultant effect of this being that those attending would lose all depth perception, being surrounded in complete darkness, nothing in site but BO4. Take a look for yourself! 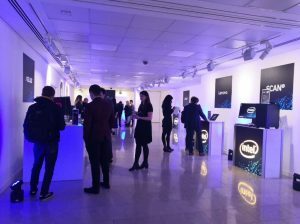 Our Tech team worked with Intel to host its annual Intel Christmas Showcase in London, featuring an exciting range of brand new laptops and computers. Media from technology and lifestyle publications attended, and our team has so far secured 20 coverage opportunities with media, and is continuing to follow up with assets created on the day. And finally, we are so proud to see all the creative and innovative work that our Sports team did earlier this year being recognised, as they are shortlisted into six categories at The Drum Social Buzz. We look forward to finding out the winners next week!